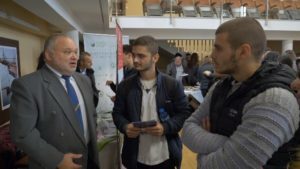 Marine Cluster Bulgaria hosted the second Blue Career Fair in Bulgaria, which took place in Varna. on the 15th of November 2018. 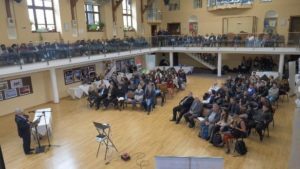 The event gathered more than 250 participants, filling the capacity of the “Yunashki salon” Hall in the city centre. 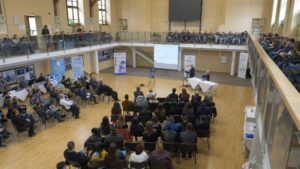 Participants from high schools and universities received useful information on career opportunities in the Blue Economy. 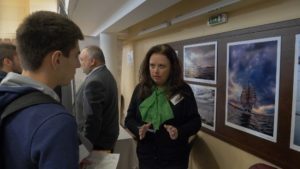 Further they meet business representatives, were consulted how to apply for a job in various maritime sectors. 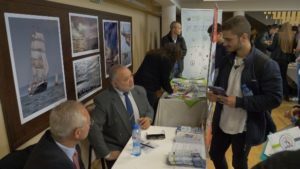 MENTOR partners from Constanta Maritime University participated in the event. 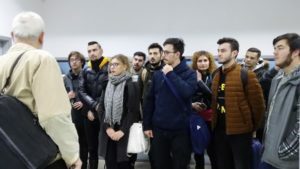 A networking session for students and staff was organized, as well as a visit to the Naval Academy to get acquainted with the infrastructure and simulators.